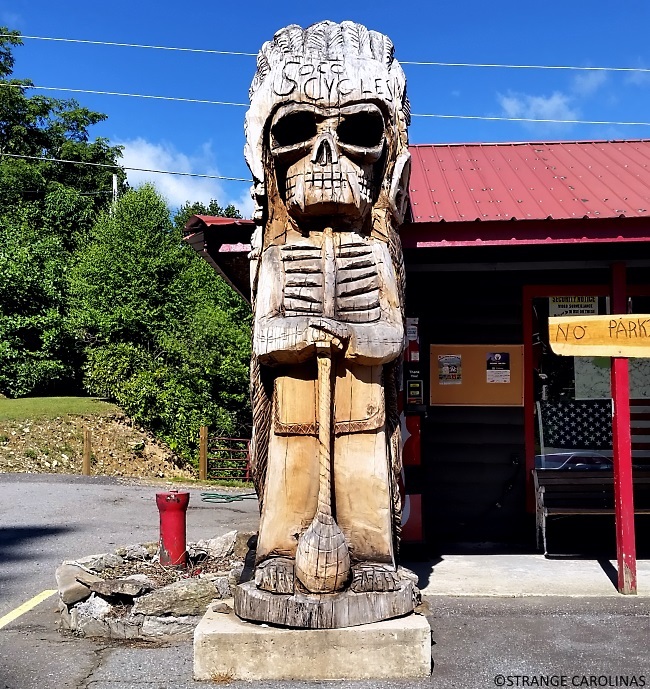 This guy stands outside Soco Cycles in Maggie Valley, NC. 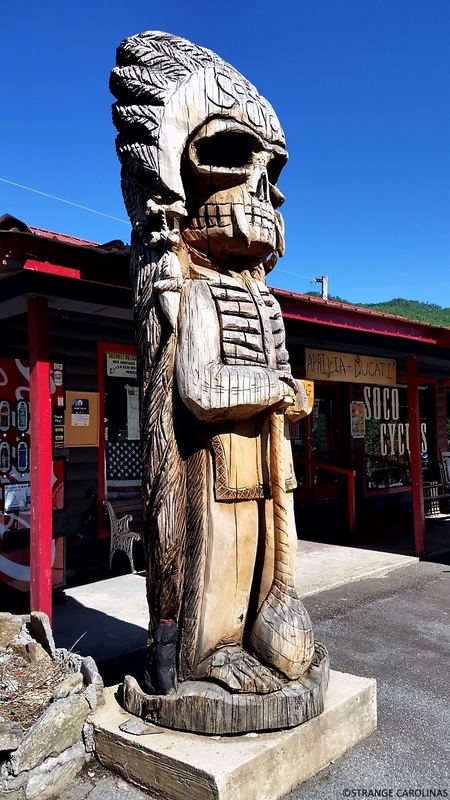 The statue was created by noted chainsaw artist Jeremy Buckner and according to Roadside America, it stands over 16 feet tall and is officially called Maniac, which seems quite fitting. Here is a 2012 video of Jeremy Buckner creating a bear sculpture outside Maggie Valley Town Hall.